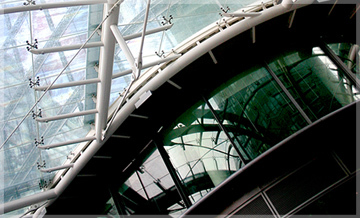 Our attorneys represent owners, contractors, architects and suppliers in a broad range of construction related matters. We assist clients with legal issues related to all types of projects from private commercial, to state and federal government projects. Hicks Law Group’s breadth of experience provides an understanding of the competing interests on the job site, so that contract terms can be tailored to the specific needs of the client. We assist clients in drafting, negotiating and interpreting terms of construction contracts, and related contract documents, for public and private projects. This can include development of customized contract forms, or working with common construction form contracts including AIA and Consensus Docs. Our attorneys aid clients in perfecting or disputing mechanics’ lien claims and federal and state payment bond claims. This can include foreclosure lawsuits or pursuing claims for fraudulent lien filings. When a bankruptcy occurs, Hicks Law Group attorneys handle filing and litigation of claims on behalf of construction industry clients. We are knowledgeable regarding the priority and treatment of mechanic’s lien and bond claims in bankruptcy as well as removables issues in the context of bankruptcy. Our attorneys litigate and arbitrate construction claims involving payment disputes, scheduling disputes and delays, change order disputes, changes in scope of work and construction defect claims.